We all know it’s hard to fix something unless you know what the problem is. Search Engine Optimization can be tricky because the problems are often unclear. That’s why we are offering a free SEO report. “I’m not showing up on Google, but I have no idea why” is a common complaint. The first step to solving the problem is identifying the problem. If you don’t know where to start, try out this free SEO report. 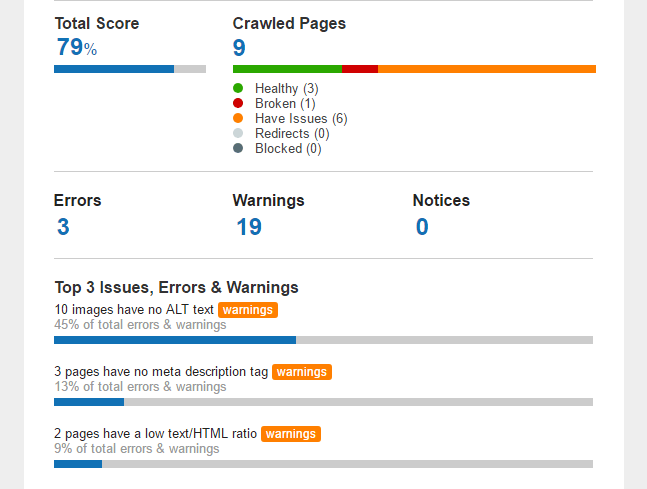 This report isn’t going to fix your website. In fact, the information it gives is pretty basic. But once you know what’s wrong, you can start the path to recovery. Contact an SEO company to get more information and assistance with improvements. You can call EZ-NetTools.com at 800-627-4780. Interested In A More Hands-On Approach?